Public Relations News: Do You Know Your Media and How It Works? Understanding the various types of media, and how the media works, what makes news interesting to the pubic, and how to make the news, are all valuable pieces of knowledge for any Grange. Favorable media exposure means recognition in the community, acknowledgement of Grange activities, services and accomplishments and a higher profile of your Grange among potential members. So, how does your Grange get into the news? The key to media coverage can be simply explained as a two-step process: develop the right story and deliver it to the right media. Although all media outlets search out and welcome all types of news stories, television, radio and print each have their own unique qualities that will affect their interest in your story. PRINT: This is often called traditional media, or old-fashioned media, and includes newspapers, magazines, and books. What makes the print media unique is its ability to provide in-depth commentary by publishing longer news articles. Basically, print publications provide the most important details of a story, whereas radio and television only provide the snapshots or the fast facts of a story. Today’s print media may not necessarily be exclusively made out of ink and paper. It also includes digital accessibility, such as eBooks and digital magazines, and web-based versions of newspapers. For Granges, this is the most commonly used type of media, and one of the most important tools in their media arsenal. RADIO: Before the advent of television, radio broadcasts were what people relied on for their primary source of information. Today, Radio may not be a first choice when it comes to news coverage but when speed counts, radio, just like television, has the advantage of being able to produce and air a broadcast report minutes after news breaks. When radio is not covering breaking news, it gets most of its news stories from local, regional and national print publications and from local sources. Another advantage of local radio is that morning-drive and rush hour shows often have large followings and loyal listeners. TELEVISION: Television has been coming into the homes of families across America for over 60 years. Today there are hundreds of channels available at our fingertips for viewing, and on-demand viewing and streaming of programming allow viewers to expand their selections. But where Granges are concerned, local television news programming and informational programming are where their attention should be focused. Television’s strength is its ability to blend pictures with storytelling to create a compelling and visual broadcast. It also can produce and air breaking news stories moments after it occurs, as well as extend across boundaries by covering news in other locations while bringing live broadcasts from those areas to its local viewers. SOCIAL/INTERNET: As the internet evolves and grows in popularity, more people rely on it as a source of frequent news and information. Traditional media outlets have companion websites and an internet presence. Social Media continues to grow at record paces, dominating the internet landscape. According to a Pew Research Center study, Facebook and YouTube dominate the social media space, with 68% of US adults frequently utilizing YouTube and 73% of US adults utilizing Facebook. Some 88% of 18- to 29-year-olds indicate that they use any form of social media. That share falls to 78% among those ages 30 to 49, to 64% among those ages 50 to 64 and to 37% among Americans 65 and older. Granges are embracing the internet. 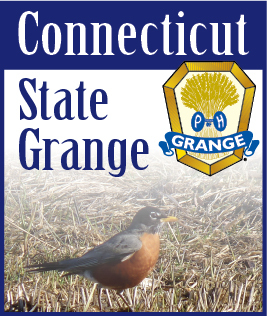 In Connecticut alone, there are over 40 Facebook Pages for State, Community, Pomona and Junior Granges.